Happy Meal, and I had just recovered from the H3N1 flu that was making the rounds. This was the first year that I skipped getting the flu shot, and it shall be the last. We called up The Marinater, who was taking a break from bench pressing his car (he got his flu shot), and discovered that he had a Groupon for Nikki in Venice, Ca. The metered parking was free on the street after 6:00 PM...bingo. The name of the joint was confusing. The website and other official listings, came up as Nikki, but the signage read, "Nikki's." Nikki had received wildly mixed reviews on Yelp and the lot. We ordered a gang of burgers and settled in for a 20-minute wait. 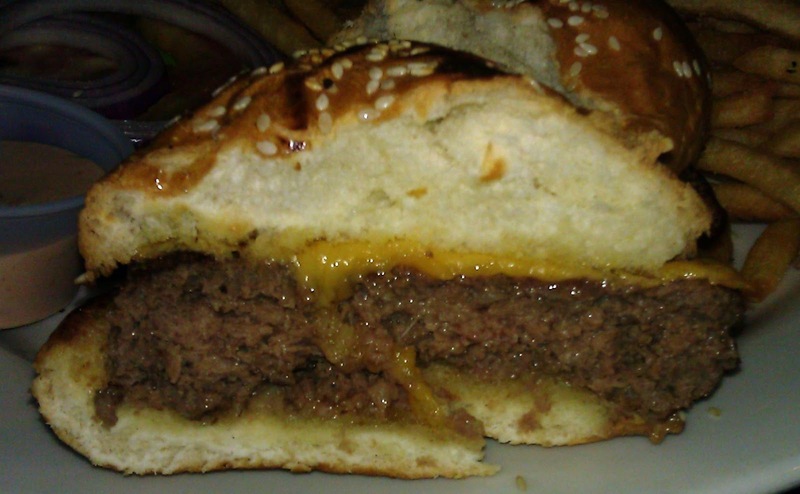 The Beef: The menu at Nikki touted 100% Angus beef, and our server's knowledge of the burger did not extend past that. The burger meat appeared to be standard 20% fat Chuck. The flavor was firmly beefy. There was no trace of funk, minerals, or anything else that would have led us to conclude that there was more in the blend than Chuck. The beef was a little rubbery around the edges--we ordered the burgers Med-Well to develop flavor from the Chuck. The grind was coarse, and the mouth feel was firm. Overall, the beef was fine and just a little above average. The Seasoning: The exterior of the irregular, hand-formed, half-pound burger patty was nicely seasoned with a perfect blend of salt and pepper. The seasoning blend perfectly complemented the beef to maximize the impact of the one-note Chuck. The Sear: Meh. The Sear on the burger patty at Nikki was unimpressive. The gas-fired grill imparted some moderate grill marks, but there was no crispness. 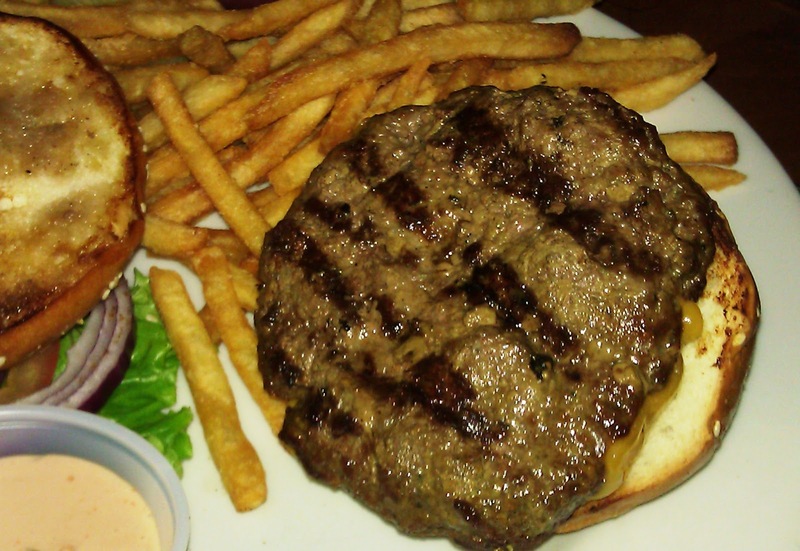 The Preparation: The burger meat at Nikki was over-manipulated during the patty forming process, and this created too much by way of protein bonds. This resulted in a chewy burger. The burgers were only flipped once during the cooking process--that was appropriate. Additionally, the burgers were juicy, so the kitchen was not guilty of pressing on the patties during the cooking process. The Cheese: The cheese choices at Nikki were Monterey Jack, Cheddar, and American. I went with American, and I was pleased with the result. The double helping of American cheese worked its customary and expected magic by providing a dependable amount of iron, creaminess, umami, and moisture to the bite. The cheese was a winner. The Bun: The burger bun at Nikki was a fresh, moist, tender, sweet, seeded burger bun. The bun was nicely toasted. The bun provided just enough sweetness and crunch to balance out the cheeseburger. The Meat To Bun Ratio: This was ideal. The bun barely managed to contain the large burger patty. Nonetheless, the bun was up to the task of keeping one's hands grease free without dominating the bite. The Toppings: The Romaine lettuce was fresh and crisp. The large tomato slice was under-ripe and mealy. The Fries: The peel-off fries were perfectly crisped and managed to maintain their crunch as they cooled. The fries at Nikki were perfectly salted. 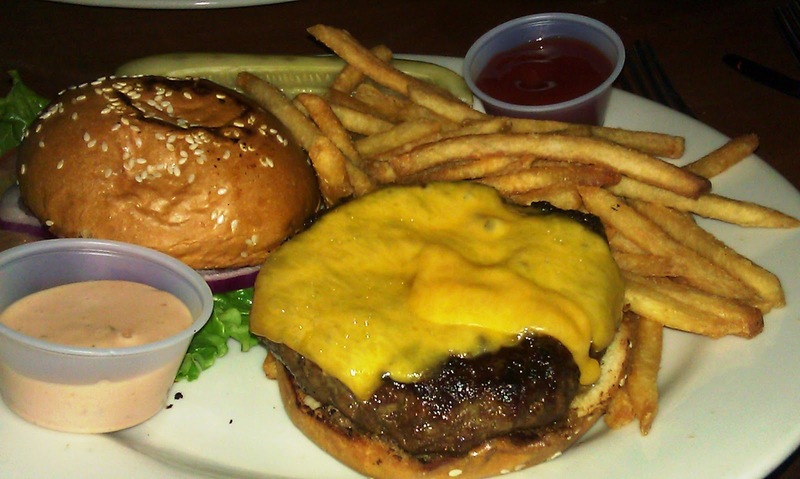 The Value: The cheeseburger and fries at Nikki was listed at $10. All things considered, the value was average. The burger at Nikki certainly appealed to Happy Meal. The Marinater and I found the cheeseburger to be better than average but not something that we would go out of our way for. 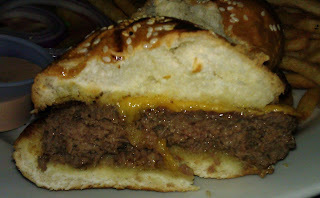 Burger Review : Nikki served up a slightly better than average cheeseburger with terrific side of fries.